Well, firstly, that’s my phone and my bandaged finger in the photo – and both were broken at the time. 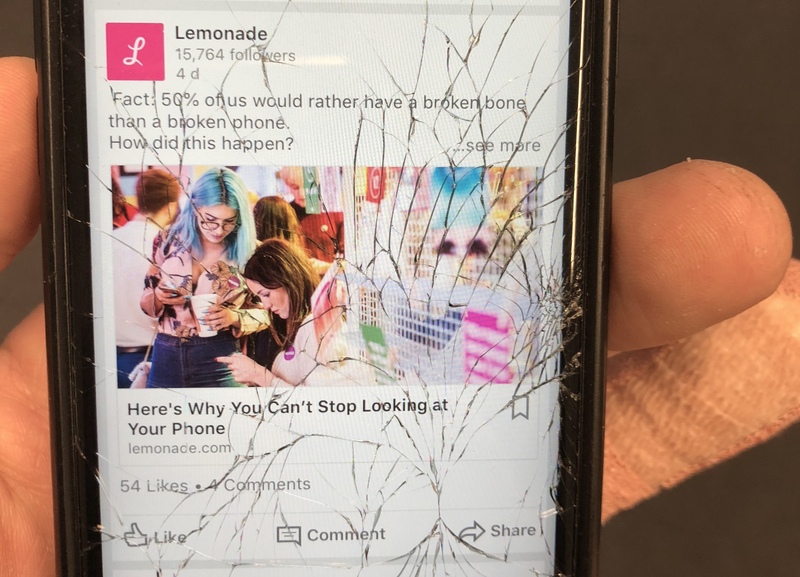 But in answer to the question ‘how did we reach a stage where we’d rather have a broken bone than a broken phone?’, the short answer is: we didn’t. Forget about the science of addiction and our obsession with phones, the reason why half the people responded that way is perhaps even more uncomfortable: they don’t understand themselves at all. Actually put in the situation – say, with someone pounding a large metal hammer on the desk and they have to choose between having their phone or their finger smashed – the vast majority would choose their phone. 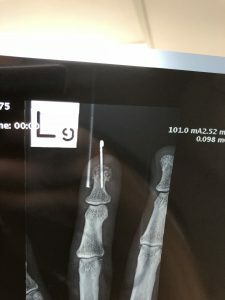 My finger, complete with pin to hold the smashed pieces together, after I crushed it loading a bike trainer into the boot of my car. Not fun. In fact, when asked to predict their own behaviour, people regularly get it wrong; they consider themselves more rational than they are in reality, more altruistic, more disciplined… you name it. It’s no wonder people often don’t reach their goals – whether they are to lose weight, get up earlier (no, really this time), or to save more money. When an enticement is put in front of them – a piece of cake, 10 mins of snooze time, or a great deal on a shirt – their emotional brain takes over and seeks instant gratification, and their rational self is unprepared to fight back. Encouraging greater self-awareness and self-discipline will help people to better understand and control their behaviour respectively – but is it enough? If people are often irrational and impulsive, why can’t we use this knowledge to help them rather than exploit them (as some companies do)? The answer is: we can. And with Nudge, we’re about to. Watch this space … and sign up below to be amongst the first to know when we’re live.